Unfortunately like me she had also failed to pick up her mothers skills in the kitchen and we spent most nights chatting over tea and biscuits. 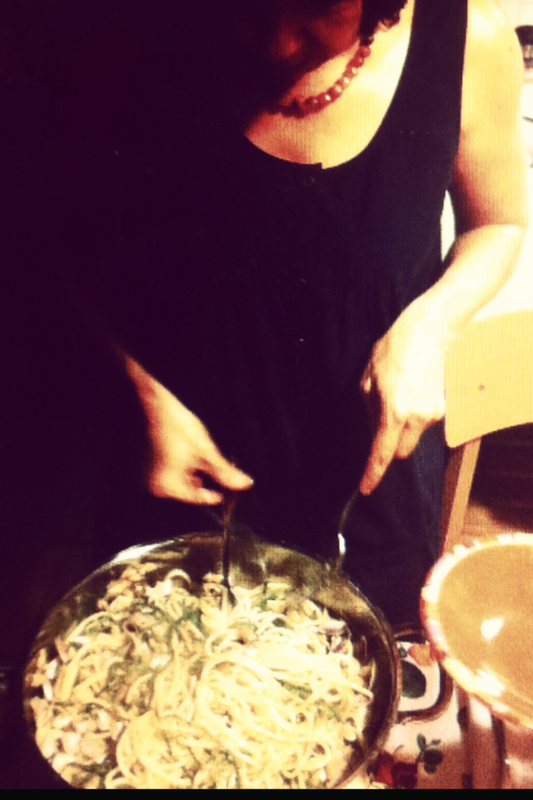 So the race was on this Summer to see who could learn to cook our favorite meal, the sumptuous Spaghetti Vongole. When one of my yoga students invited me over for a meal that would be cooked by her mother and my friend I requested this dish. Like an O’level home economics pupil I followed her around the cosy tuscan kitchen as her hands worked fast and my belly rumbled in anticipation. This meal is all about good quality ingredients and timing. I watched her swift hands, took notes and I ate loads - it was fantastic! Silvia you better watch out because the next time you step into the kitchen, I might be the winner with a dish taught to me by a women who listened to her mother! 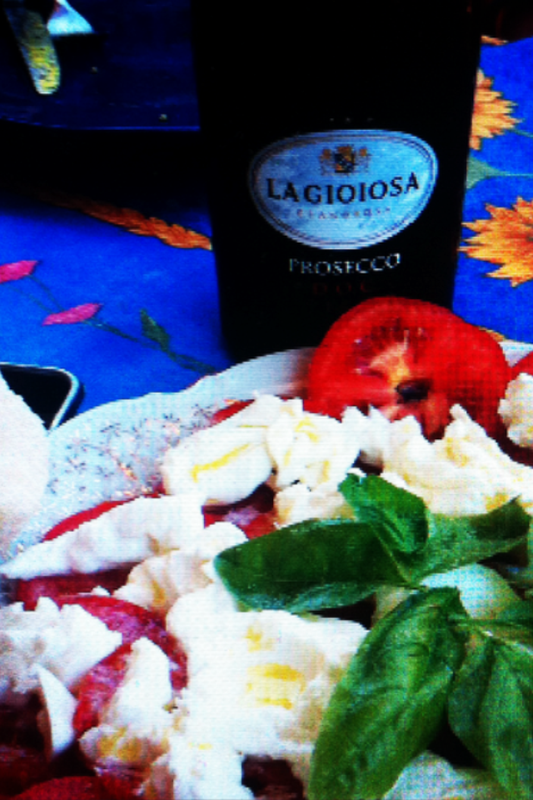 Lunch & Love in San Vincenzo - Tuscany Italy. Feeling energized after the mornings Yoga class, we swiftly got our beach gear on and drove down to San Vincenzo to spend the day with my lovely Italian friends who leave the heat of Firenze for their beach front house. San Vincenzo is the largest tourist attraction on this coast line, the beaches are quite crowded and over looked by hotels. With Sun beds taking up much of the sandy beach. I think my family will agree when I say that my friends are generous and entertaining hosts, not just because their house is conveniently placed on the beach and with in a few minutes of stepping out of the sea we are in their lush garden. We form an orderly queue to enjoy a cooling shower which is beautifully placed under bright pink Bougainvile which act as curtains. Our time together always involves our families sharing a meal and I love every single traditional Italian moment of it. From the warm bread, cold prosecco, pasta cooked to the second, bright red tomatoes, mozzarella, lashings of olive oil and fresh basil plucked from the garden. Eating together we share our year, many stories as rich flavor’s explode in our mouths before jaw dropping laughter. Savasana in a chair is much needed to digest the day and remind myself to set the table, cook with love, which is all the better digested in the company of good friends and family.